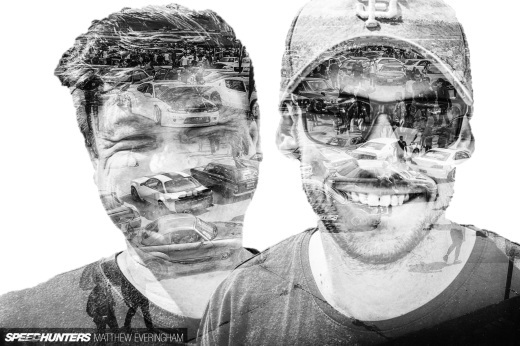 The European car scene has been evolving quickly in Australia. In particular, VW enthusiasts have been coming out of the woodwork thanks to new forum communities such as VWGolf.net.au. 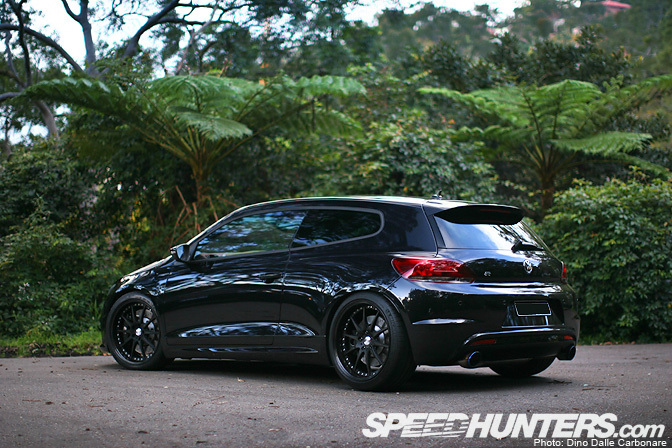 One regular on that forum goes by the alias 10D, and this is his gorgeous black-on-black Scirocco R.
There are a variety of different modifying styles within the Euro car communities. While many prefer the slammed and flush style, it wasn’t 10D’s cup of tea. What he wanted was something more introverted. 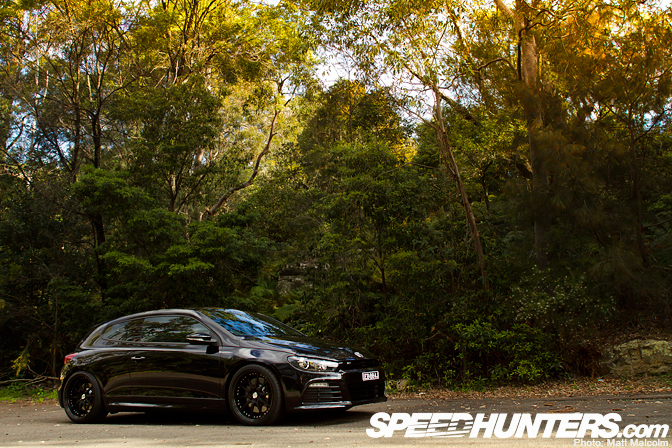 This particular example, in resplendent Black Magic, was one of the first Scirocco Rs to land in Australia. It was a private import before VW officially announced it would be bringing it Down Under. It wasn’t long before the Scirocco was booked into City Performance Centre for some improvements. 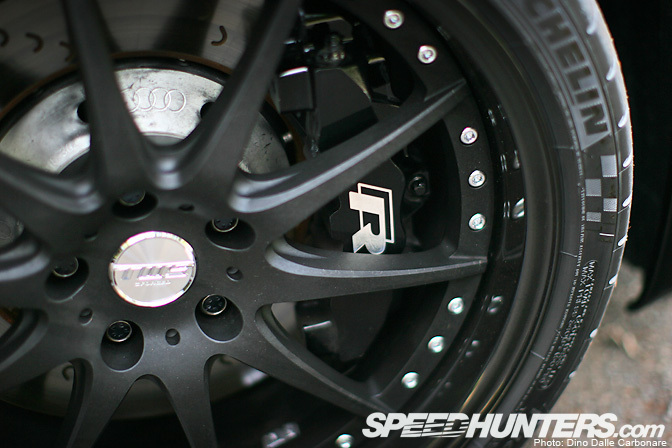 Putting the big in big brake kit are these 8-piston monoblock calipers that are mated to 365mm Audi rotors. 335mm RS6 have been fitted to the rear. 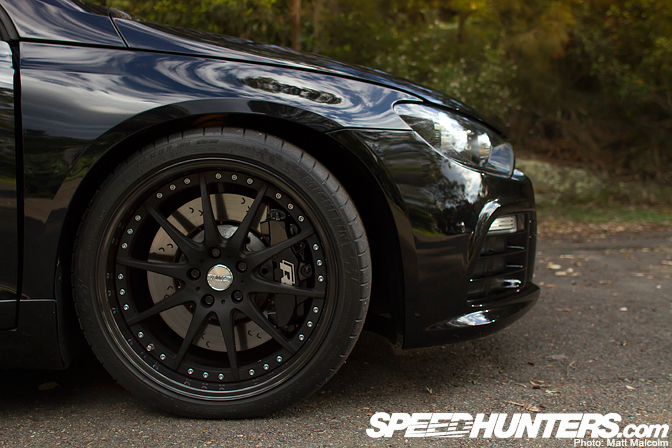 The wheels are 19-inch TWS EX-FV rims on sticky Michelin Pilot Super Sport tyres. TWS is a Japanese wheel manufacturer, who also supply rims to Aston Martin Racing. The turbocharged 2.0 litre engine has been tweaked with an HPA Motorsport ECU tune, HGP intercooler and HGP fuel pump. 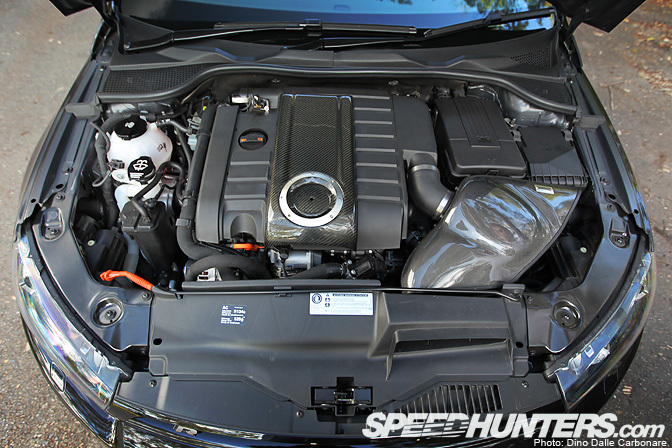 The DSG is now snappier thanks to an HPA tune, while a Peloquin diff has also been installed. 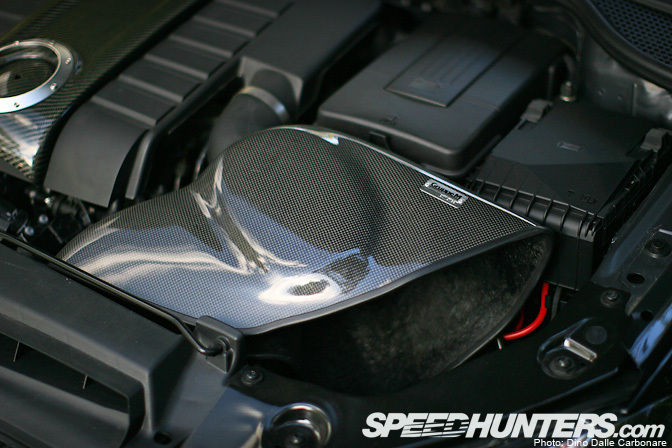 A gorgeous – and rather expensive – Gruppe M carbon intake shields the filter from the hot air in the engine bay. 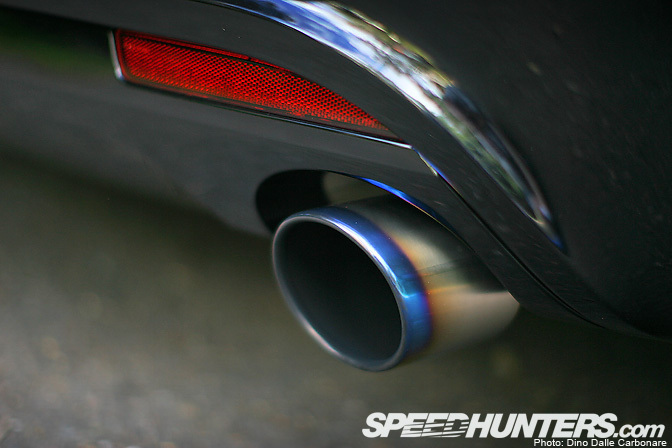 Along with a custom CPC downpipe, the Scirocco features a Japanese ARQRAY titanium exhaust. 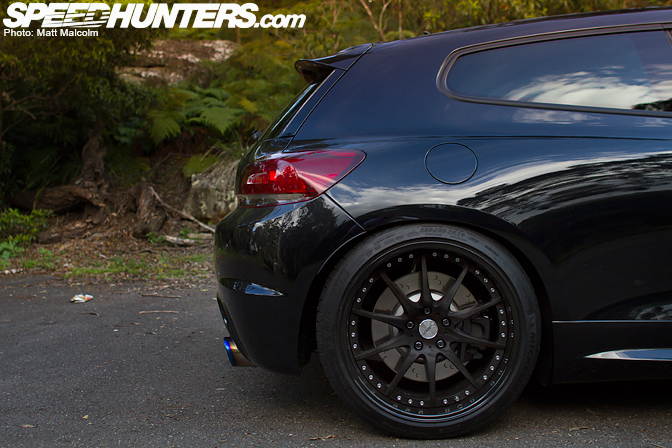 The Scirocco R rides on KW coilovers that have been tweaked to HPA Motorsport’s specifications. 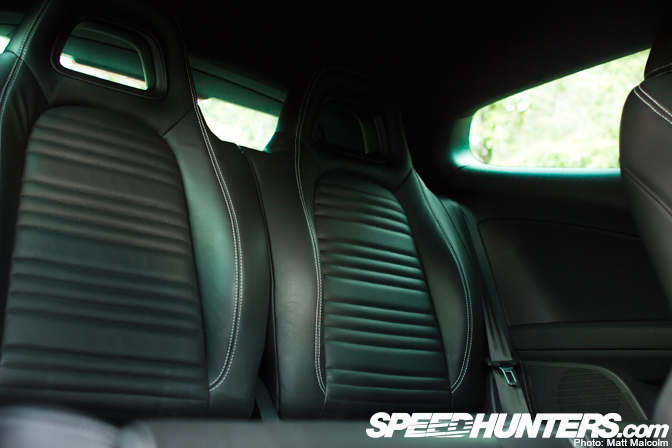 …Such as the carbon fibre trim and centre console from OSIR Design. 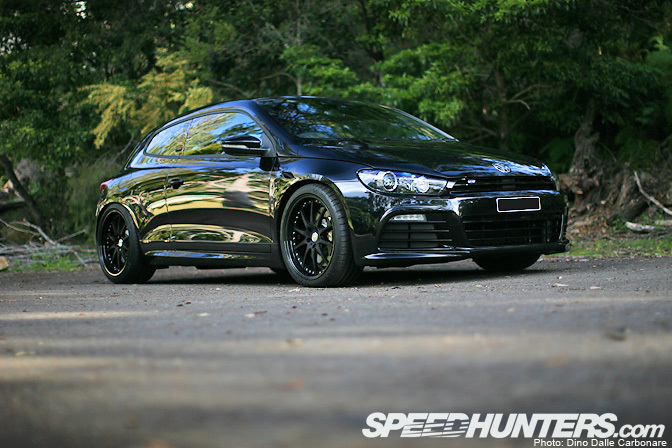 It’s hard to do justice to the Scirocco R’s sleek form in photographs. It’s svelte two-door silhouette hides the size of the cabin, where there’s enough space to hold four passengers comfortably. If this particular example is anything to go by, I’m sure the Scirocco R will be a very popular car amongst Australia’s VW community. Rumours have it that CPC have another Scirocco under the knife, and will be receiving not only an engine swap, but also an AWD conversion. It's perfect. There's just nothing wrong with it. Very nice. We need more performance-oriented VWs featured on Speedhunters, like this one. Scirocco R's are dual charged (turbo and supercharged). Did they do anything to uprate the supercharger? I'd have black bolts for the rims though. 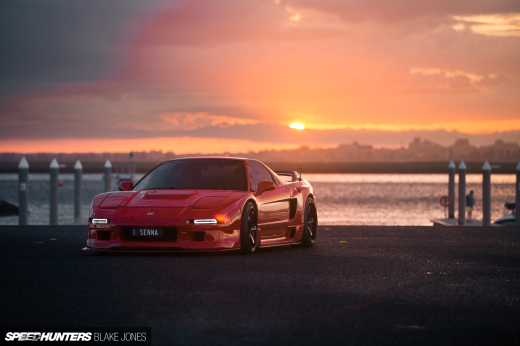 I second Tony, this is one of the most well done, simple, clean, and perfect cars that has been posted. ^ Agreed, it just looks so comfortable, yet sleek, fast, and fun! Wish we got the in the USA. Looks so much better on 19 rather than 20 inch wheels, the extra sidewall give it a better look. Bring these to America stat! perfect example of a gorgeous car. love the carbon fiber goodness in the engine bay. Sigh... I really with they would release the new Scirocco in the US. I'd lake this over a GTI any day. scirocco r have manual gearbox? where were these photos taken? looks like duffy's forest in NSW..
Was disappointed when I saw it was automatic, but then I noticed the paddle shifters. That'll do. Its a pretty awesome car in real life. @Dan. It's not twincharged, just turbocharged. 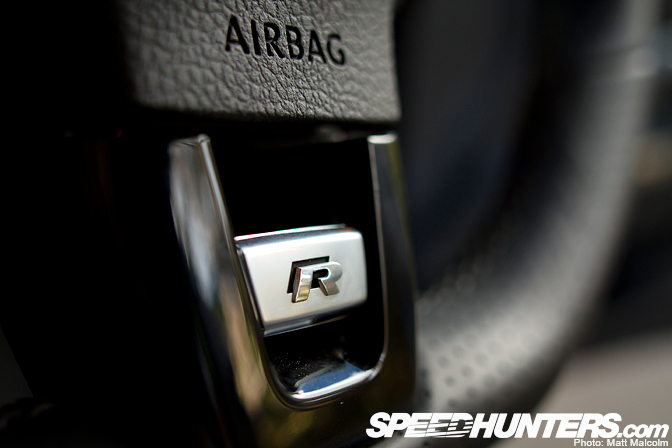 @Dan The Scirocco R is only turbo charged, only some of the 1.4tfsi models came with both. DSG is quicker than a manual...for starters, i never heard of anyone that can shift a stick faster than a DSG!!!!!!!!! !...2/10ths of a second. Plus paddle capability! Lightning....., you sure you know what your talkng about? Really good looking car, perfect improvement and sober. @munky13 there isnt reverse rake the rear fenders are lower than the front so it appears so. It is the same way on a mk1 golf/rabbit. @chase I assume you are correct about the arches as I dont know for sure, but it is still reverse-rake. To me the tyres should have equal distance from tyre to arch front and rear. Either lowering the front, or raising the rear does not matter, they should match to me! Would improve the looks a lot! Very well executed I must say. Well done to the owner for doing tasteful modifications with quality parts. ppl should understand what DSG is before commenting unpleasant things or get a manual blah blah blah. i know the owner and this is his best VAG project so far. I don't know why people are having a faff on 10D having DSG. At the end of the day it's personal preference.